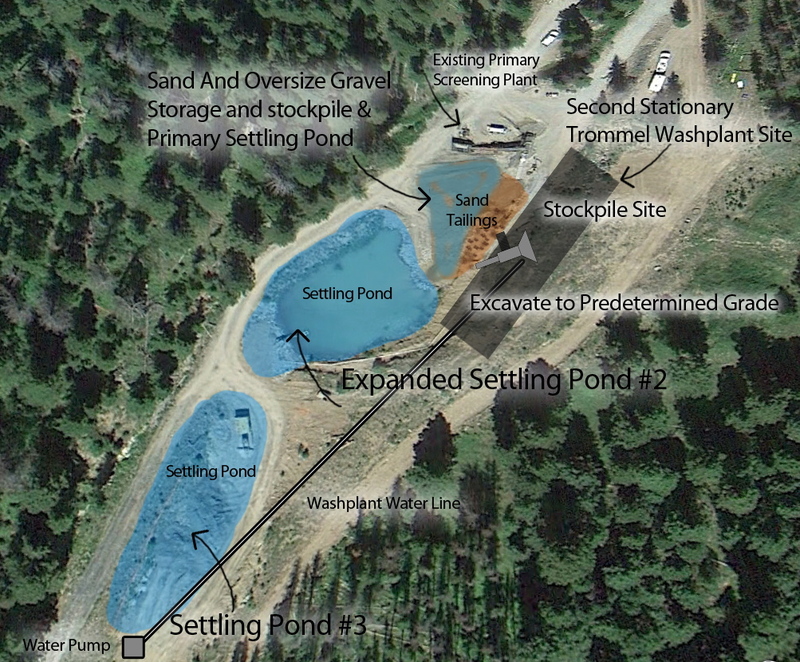 This is a mine site layout that is pretty straight forward. In a narrow gulch placer you are always going to be under the onslaught of challenges. Every site has its own specifics and you are adjusting as you go. But in general with multiple handling of your tailings due to narrow placer gulch constraints you can get dialed in and get yardage per hour in the 35 to 50 yard an hour range for a good 10 hr shift. With a couple of hrs back hauling your oversize and fines you will have another shift ready to go. Elevated values in these types of deposits is paramount. With proper bulk testing and a good analysis of the results, even the tight constraints in these types of deposits are certainly attractive to the modern day placer miner. Prospecting Pays Off: Diamonds I Have Found!!!! This is freedom!!!! Discovery and gold mining!! !